In this Episode 3 I interview Clare Dubois. Why trees and reforestation is important. Clare’s amazing and wild story of how it all began. Why the focus is on the tropical rainforest. More importantly why Sisterhood and what is the potential if we reconnect to our inner nature and come together as a tribe. I was really excited and nervous as I have been with all of these people who said yes to an interview. I feel this theme of nature and environmental issues strongly. I feel more hope than despair. And this is good. If we can sense the urgency and yet see ways to make a difference, we are on a good path. If anything I dream that this episode will be the call to unite. Even though TreeSisters, gather the women the is a calling to all to come together. Alone we can do so much, together we can move mountains. 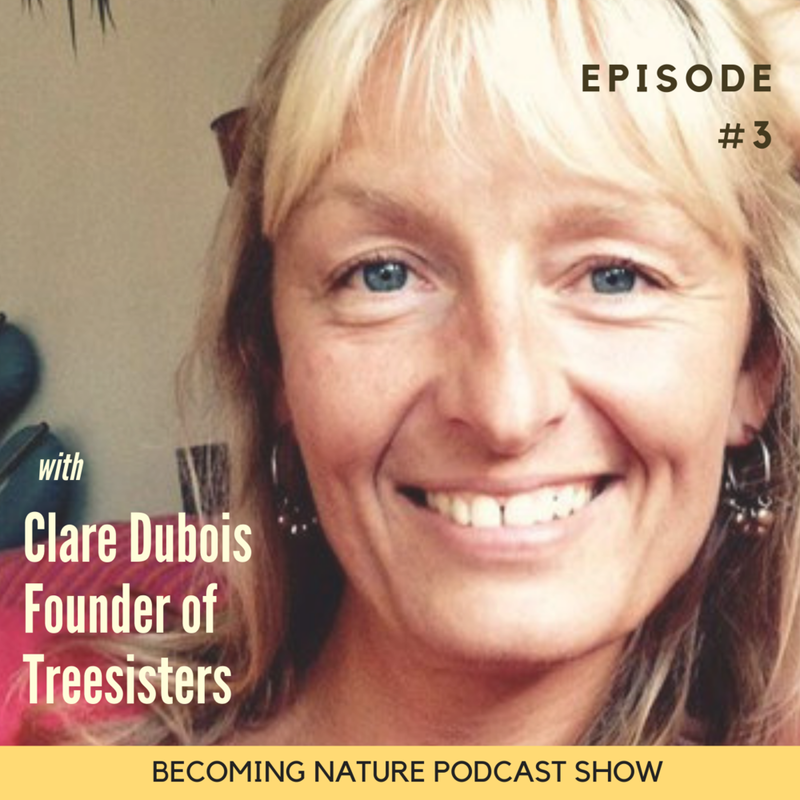 Clare Dubois is the founder of TreeSisters.org, a feminine nature based organisation inspiring the world’s women to take shared leadership around tropical reforestation. TreeSisters reflects Clare’s exploration of the links between feminine consciousness and Nature’s intelligence. She and her team experiment overtly to discover how to call forth the unique capacities and creativity of women on behalf of the trees. Currently funding over 2M trees a year, they are calling for all of us to help them reach a goal of a billion trees a year as fast as we possibly can in the face of accelerating climate change. Clare is known for her whole systems approach to behaviour change and her unending loyalty and love for the natural world. For two decades she created behaviour change processes within the personal growth and social change sectors, and volunteered for three years as the UK co-ordinator for a massive agro-forestry initiative in southern India called Project GreenHands (PGH) before initiating TreeSisters. In her own life, her aim is to reclaim balance, rediscover freedom and health and to be 'walking permission' for those who are fed up of being held back, and just want to have a go.